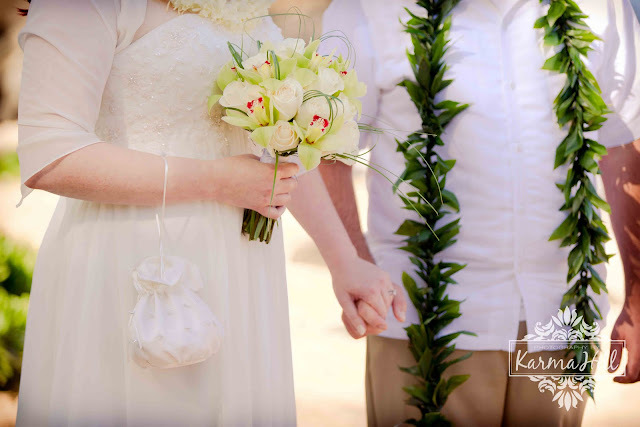 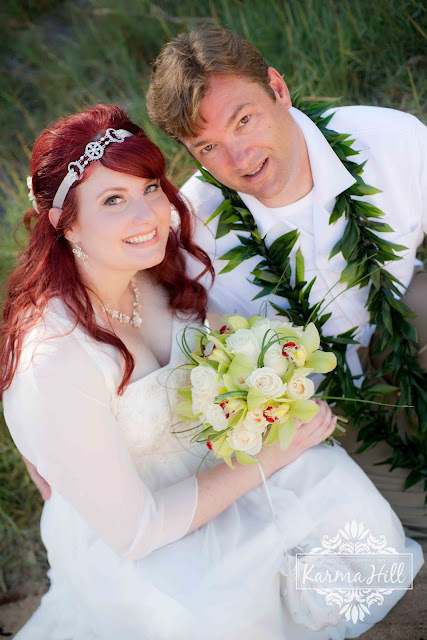 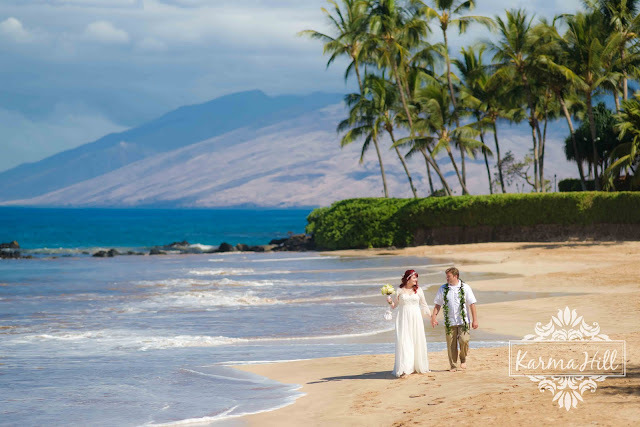 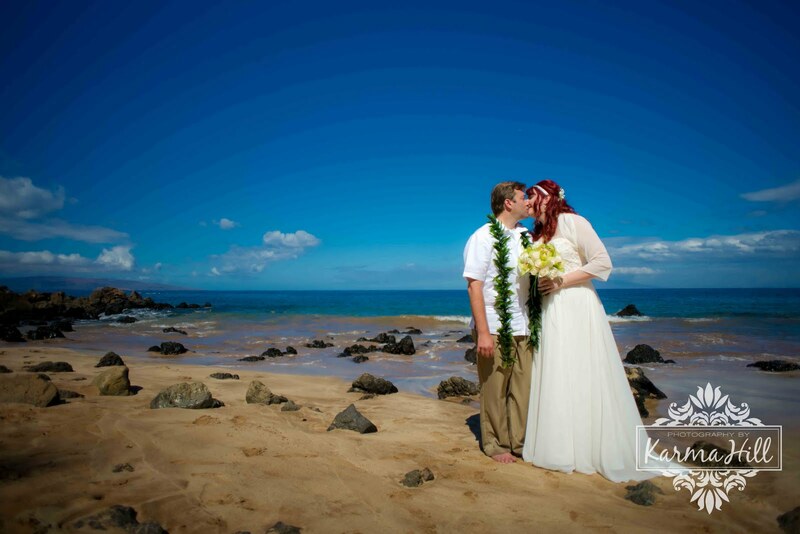 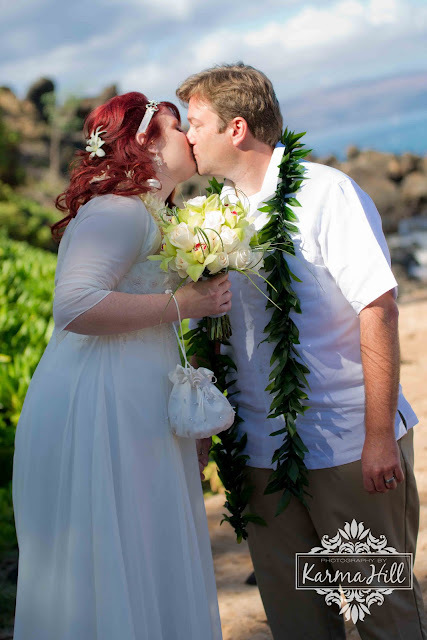 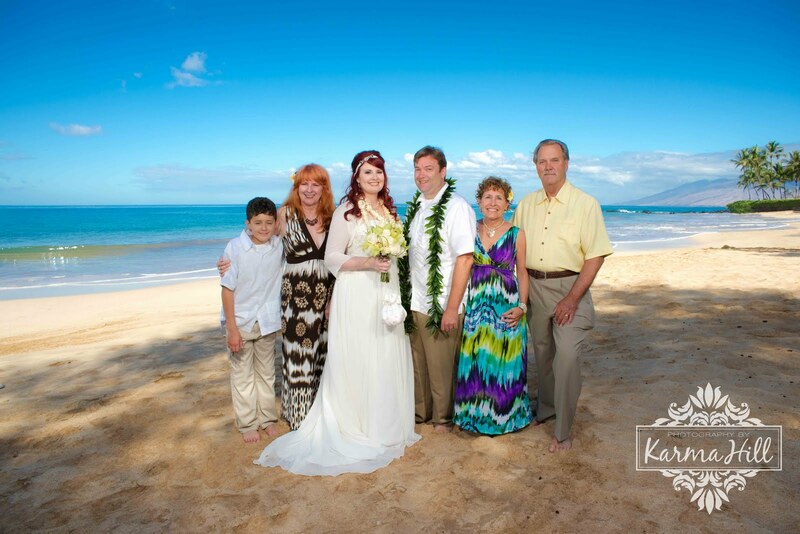 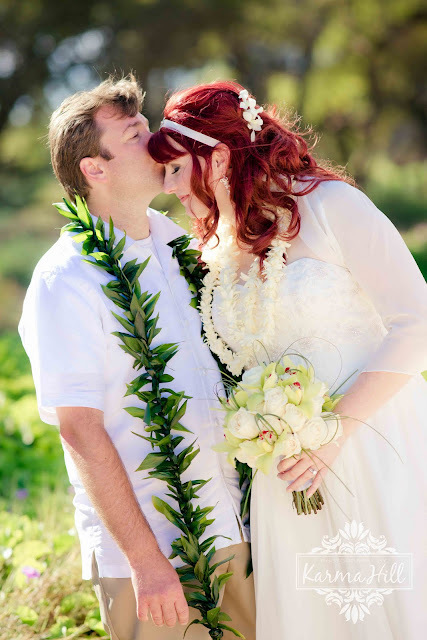 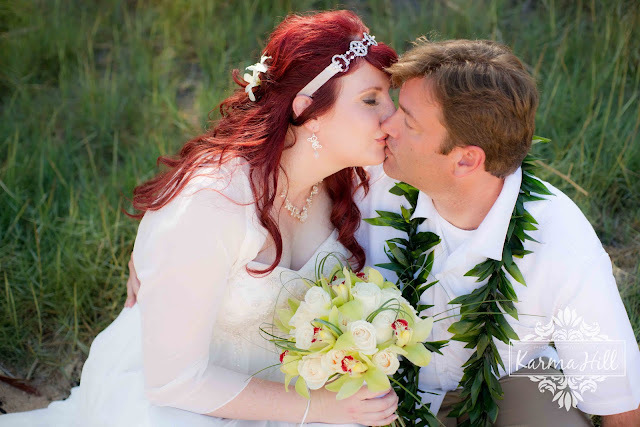 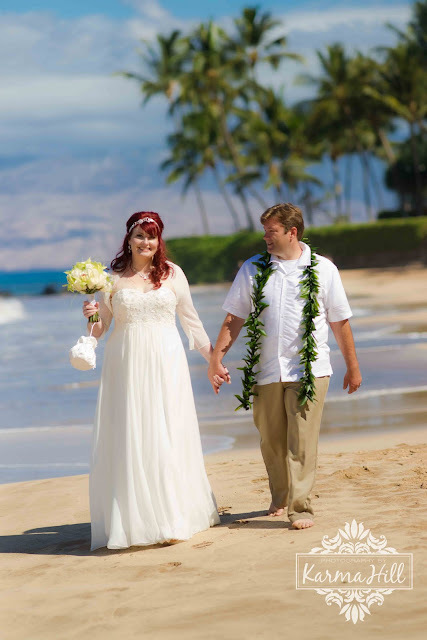 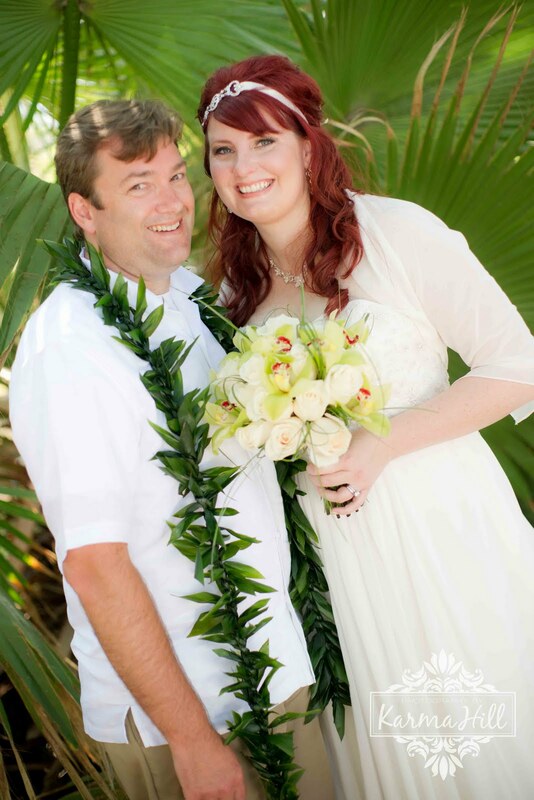 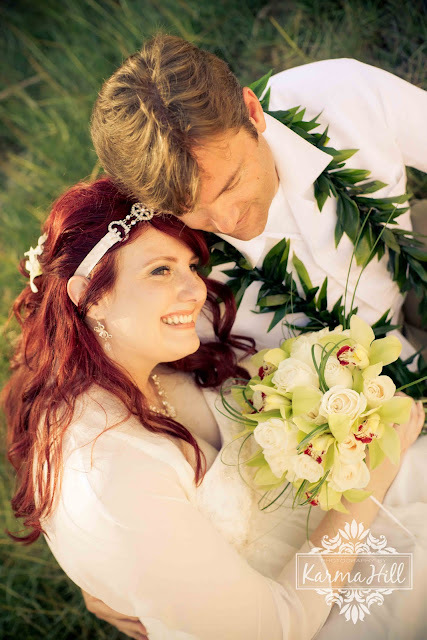 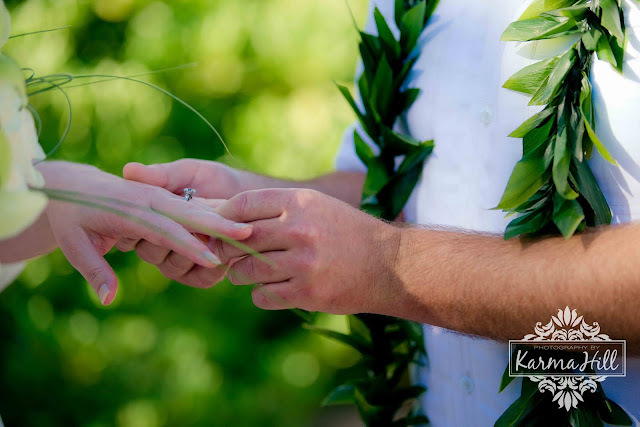 Amber and Brian were married on a bright beautiful morning on Maui's South shore. 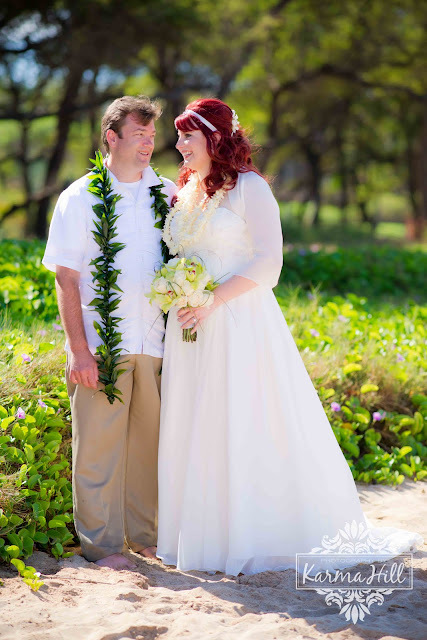 The slight breeze kept it comfortable as they exchanged vows in front of close family and friends. 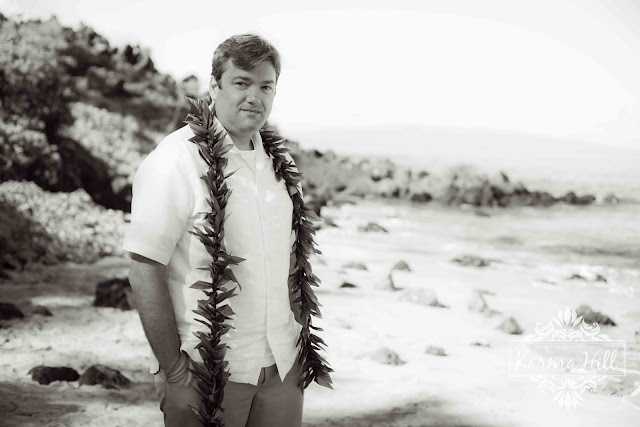 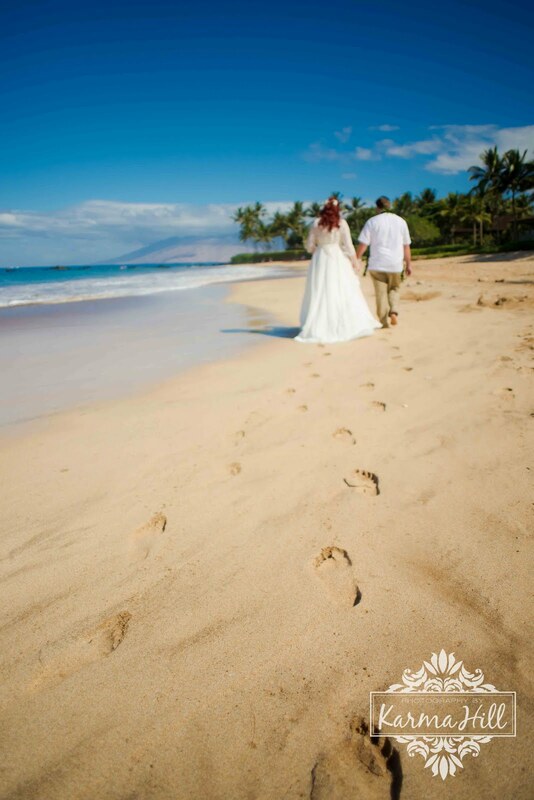 What an ideal way to start your day in paradise, with your wedding on a perfect Hawaiian beach! 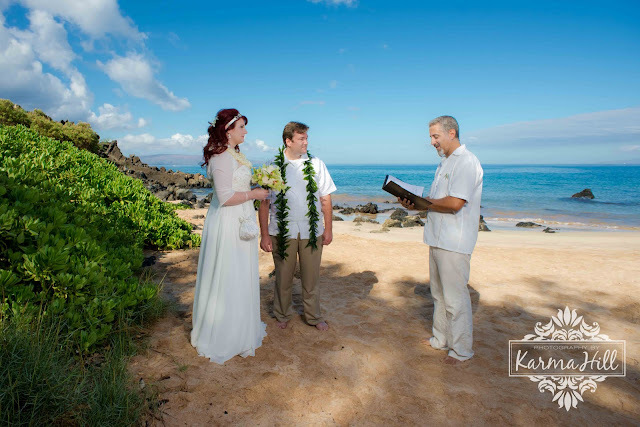 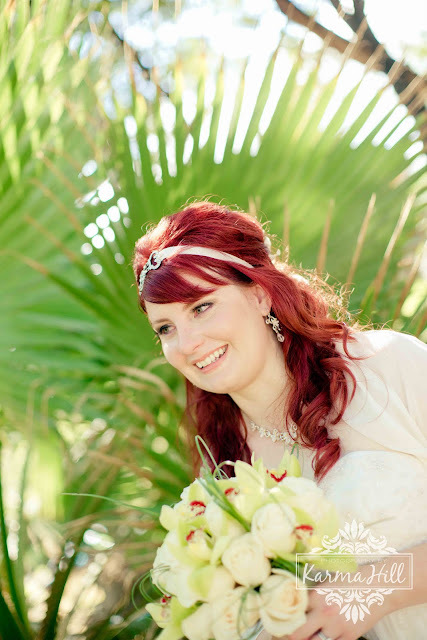 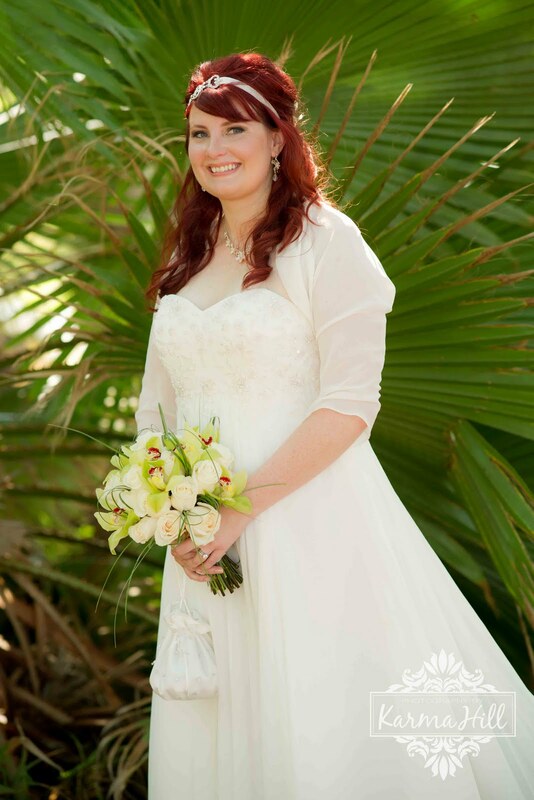 The ceremony was sweet and personal and the bride and groom were happy and relaxed. I just loved Amber's details from her hair piece to her feet! 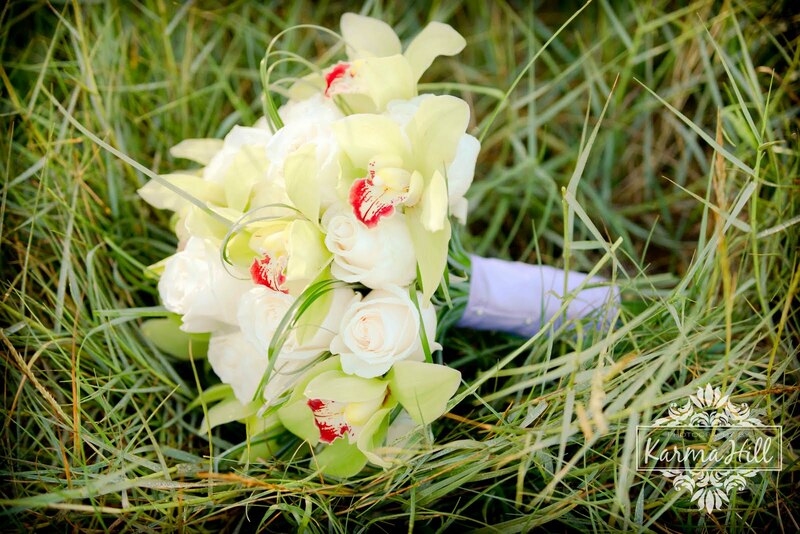 Thank you both for a lovely morning! 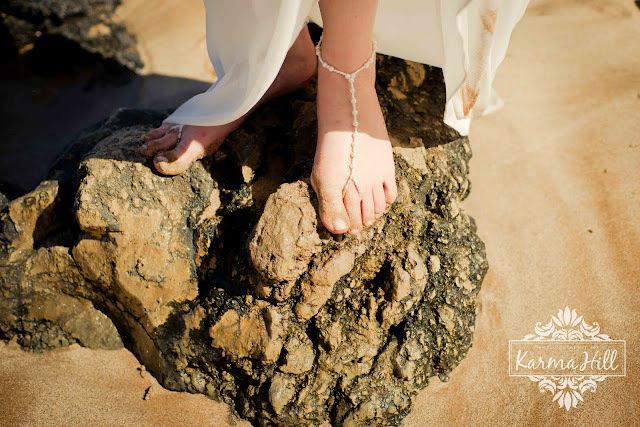 Sometimes we like to include some of the "behind the scenes" work that we do. It was a state holiday, so this normally empty beach had more people than usual on it. We want to make sure that the couple only remembers their love for each other on their wedding day, not the other beach goers, so I take the time to remove the other people on the beach for the perfect image (below). Such a beautiful Maui wedding. I just love the beach shots and all the wide open landscape shots. I would have loved to see a video of this wedding.